Thiruvananthapuram: Well-known Malayalam poet and winner of the prestigious Jnanpith Award for literature, ONV Kurup passed away at the Kerala capital on Saturday afternoon. He was 84. The end came at a private hospital in Thiruvananthapuram. Born Ottaplackal Neelakantan Velu Kurup in 1931 at Chavara in Kollam district, he was a former chairman of the Kerala Kalamandalam in Thrissur and was also a member of the Kendra Sahitya Academy from 1982 to 1987. He had won the Padmasree award in 1998 and the Padma Vibhooshan award in 2011, both given by the federal government. He was awarded the highest literary award in the country, Jnanpith, in 2007. Popularly known as ONV, Kurup completed intermediate studies at the University College in Thiruvananthapuram and graduated from the Sree Narayana College in Kollam. 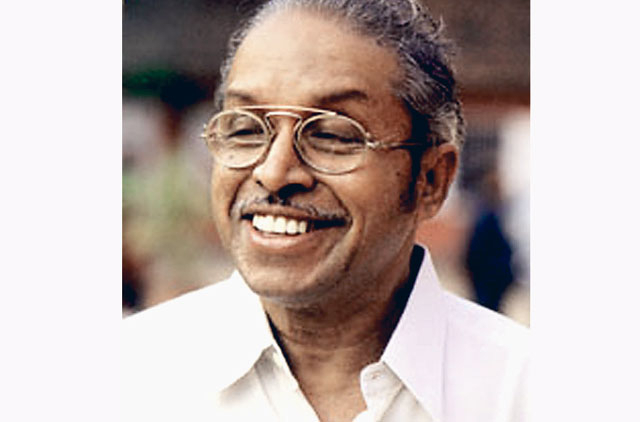 In 1955 he earned a post graduate degree in Malayalam. In 1957 he joined the Maharaja’s College in Ernakulam as a lecturer, beginning a long innings as a professor, during which he worked in different colleges. He also dabbled in politics in the late 1980s, contesting from Thiruvananthapuram constituency in the parliamentary elections. However, he tasted defeat against A. Charles of the Congress party. For millions of Keralites, ONV is more popular as a writer of lyrics for Malayalam movies. Some of his all-time hits include ‘Ormakale, kaivala charthi’ and ‘Neeraduvan, Nilayil’.